The Christian themed ornament is a miniature manger scene with a finely detailed manger hand tooled from the finest brass and finished in 24kt gold. 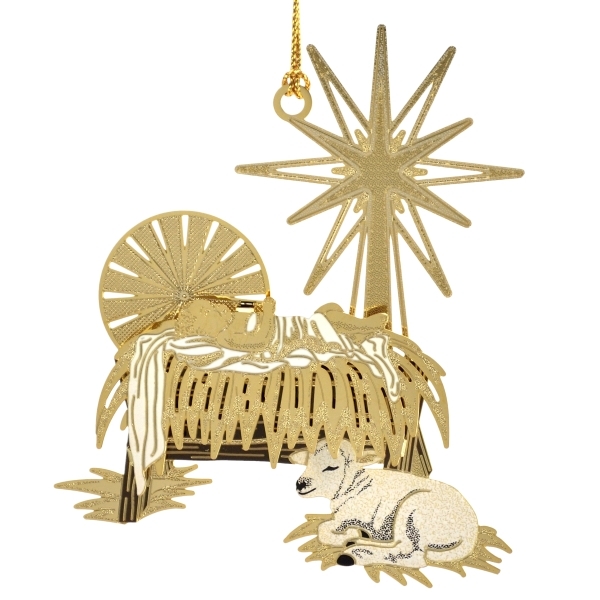 You will love the intricate Star of Bethlehem on this Christmas ornament. Our staff gently packs the ornament in a velvet lined box before shipping it to you.